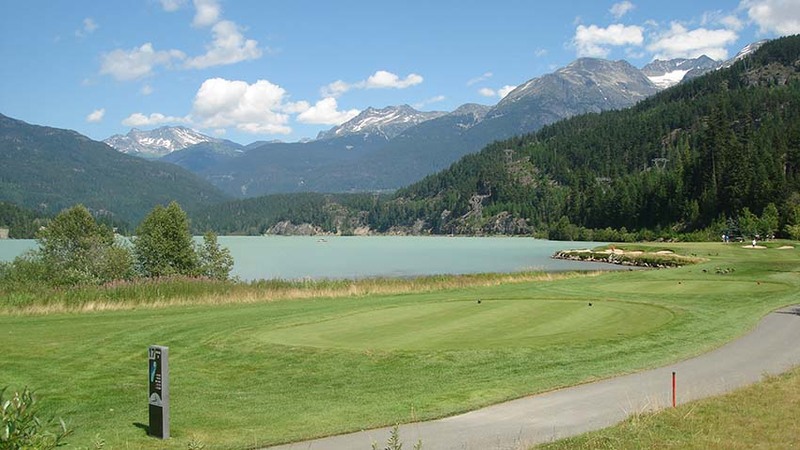 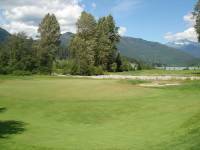 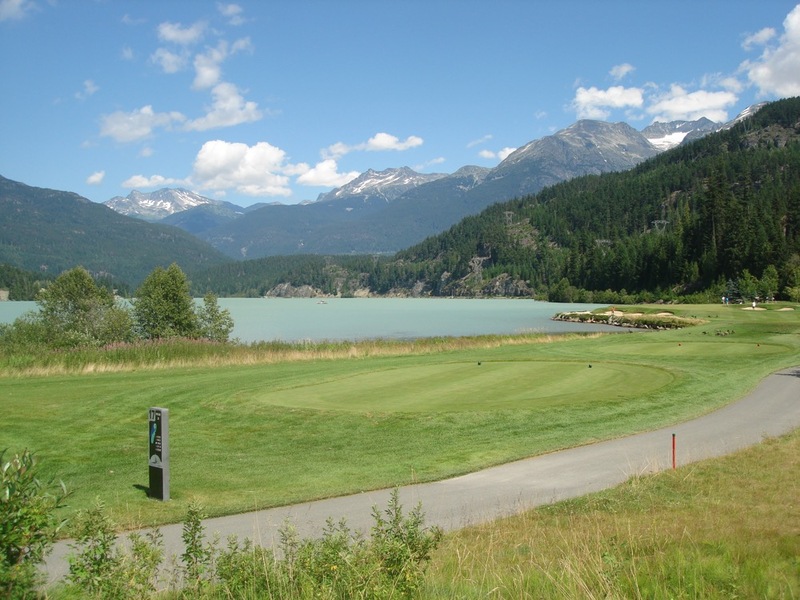 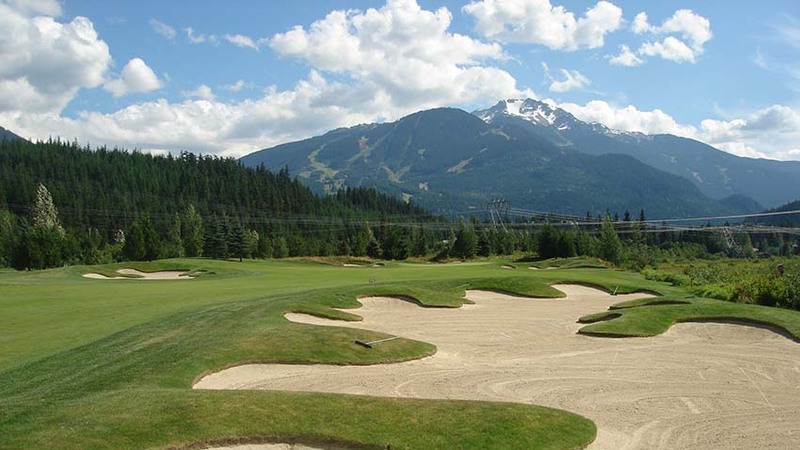 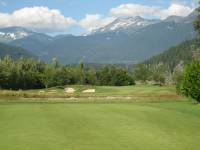 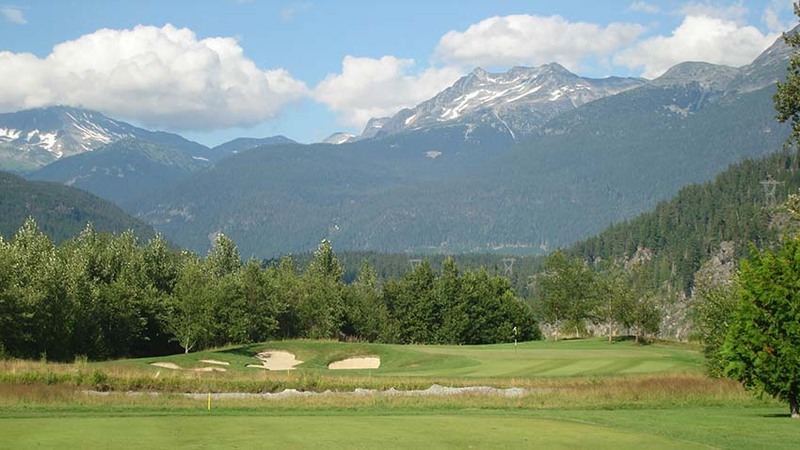 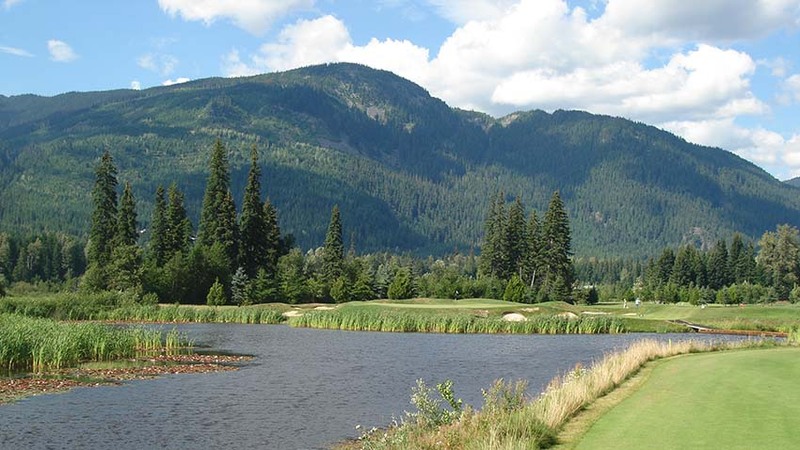 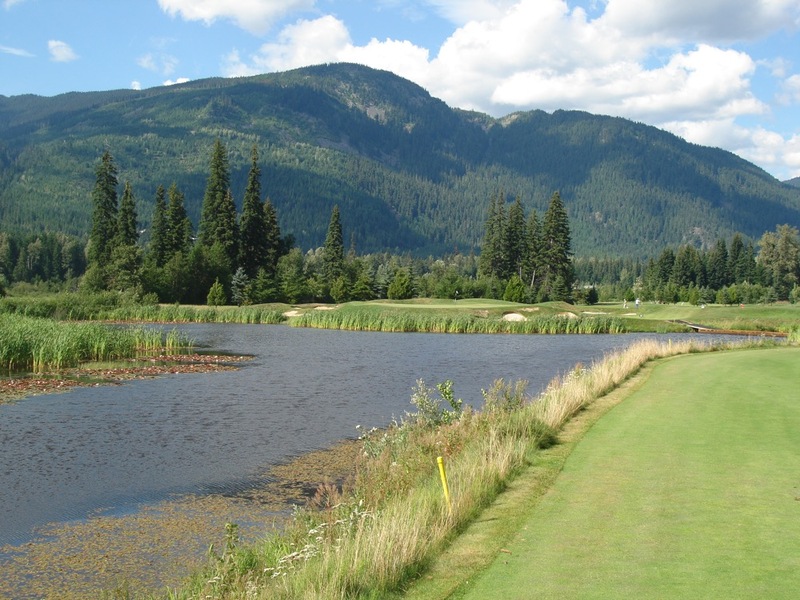 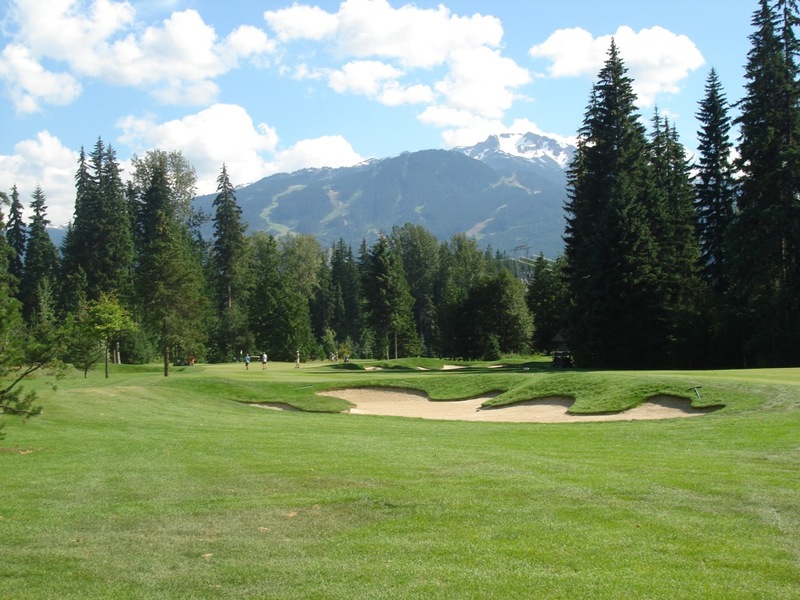 Semi-private, Jack Nicklaus-designed, Nicklaus North Golf Course in Whistler was opened by the great man in 1996 and is the most well-known of the superb Whistler golfing venues. 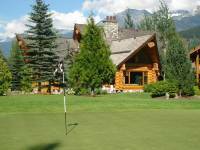 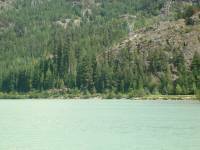 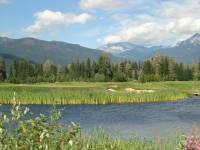 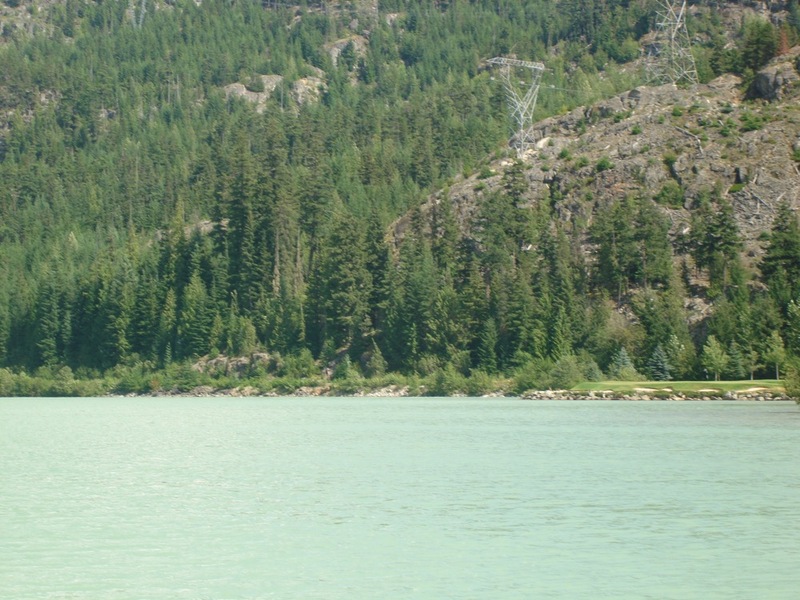 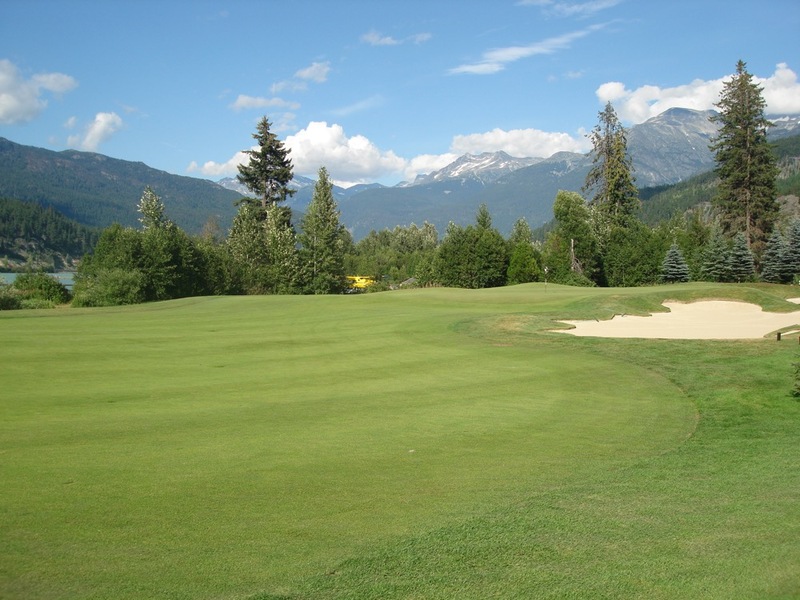 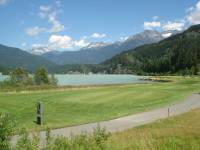 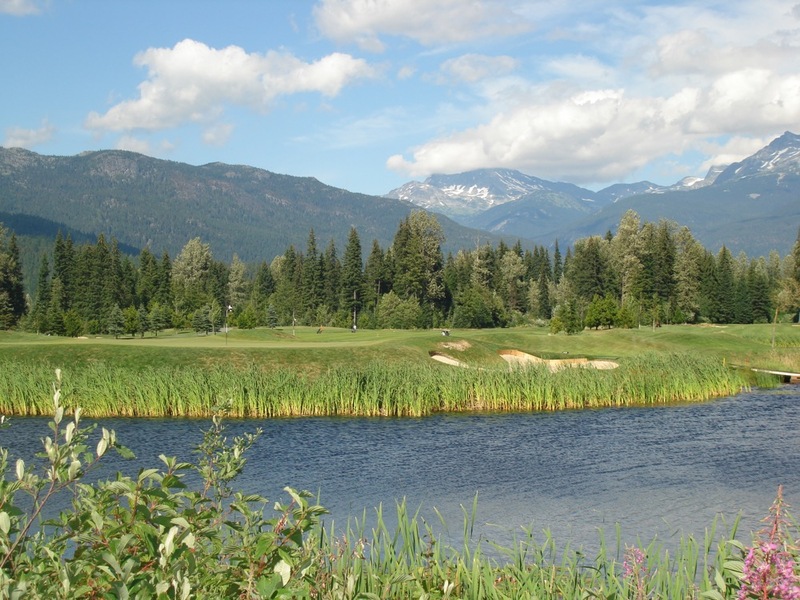 Set in Whistler Valley alongside ice-cold Green Lake, the towering, snow-capped rocky mountains surround Nicklaus North Golf Course on every side yet the course is not a difficult walk. Nicklaus North Golf Course is top-level, championship golf and a multiple host of the popular Canadian Skins Game. 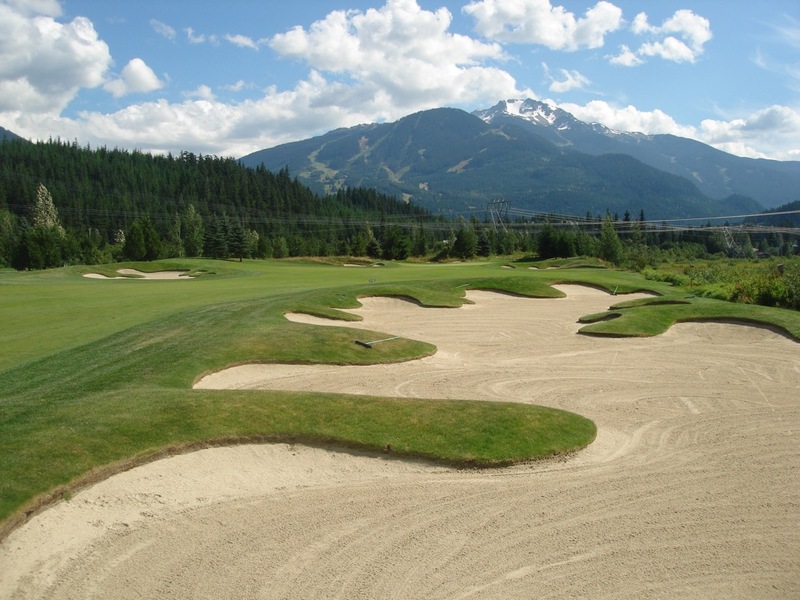 The front nine at Nicklaus North features a couple of double greens and some signature Nicklaus bunkering that makes for an exciting stretch of holes. The highlight at Nicklaus North Golf Club is undoubtedly the finish with the last three holes along the lake and especially the long par-3 17th—signature hole at Nicklaus North with the green jutting out into Green Lake. 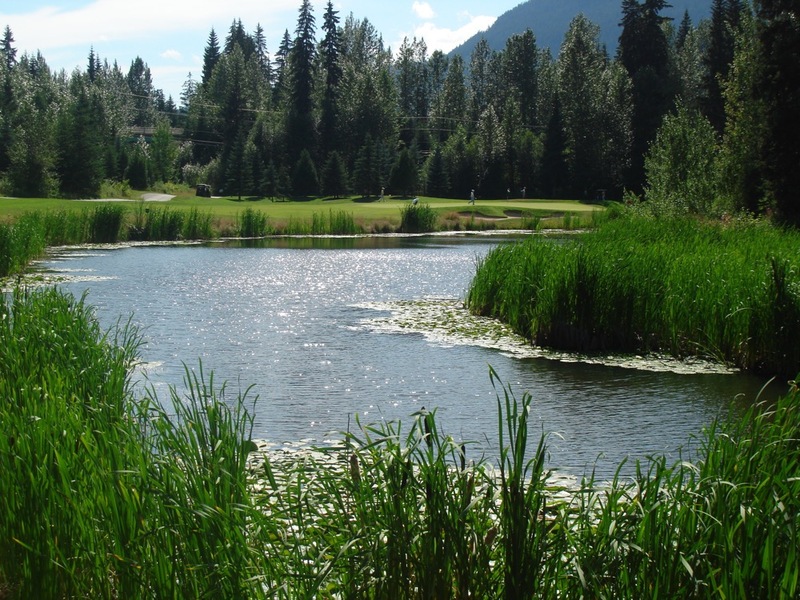 Anything left is in the lake and you won’t want to play barefoot out of these icy glacial waters should your ball come to rest on the edge! 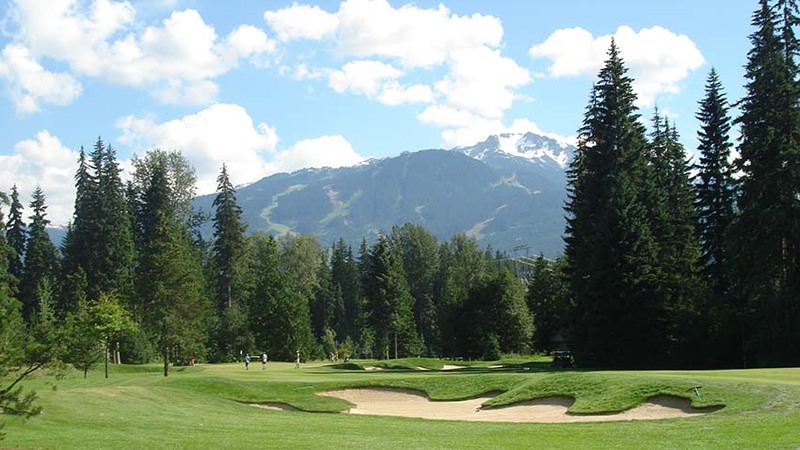 Just minutes from Nicklaus North Golf Course is the wonderful Whistler Village with its cobblestone streets, many pubs and cafes, wonderful dining, and one-of-a-kind atmosphere and spirit. 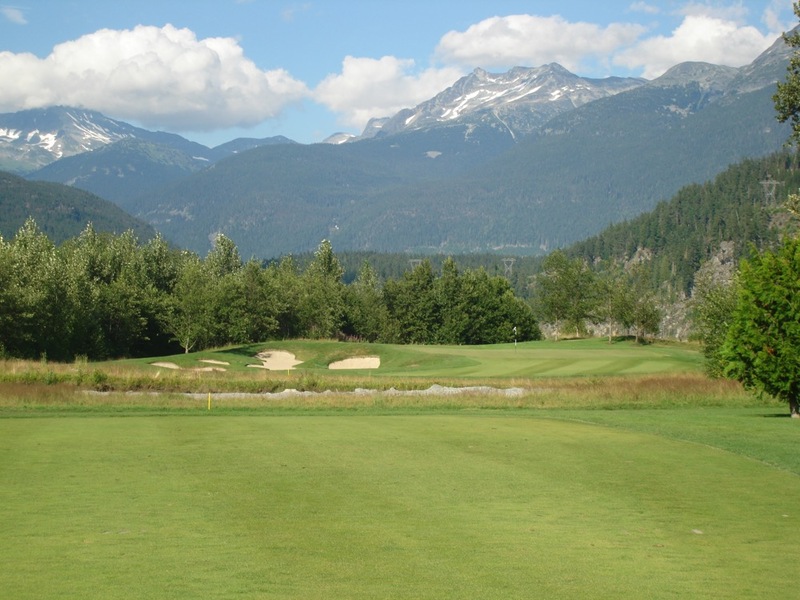 Once you visit Whistler, and start playing the amazing area courses like Nicklaus North, there is no doubt you will not want to leave!